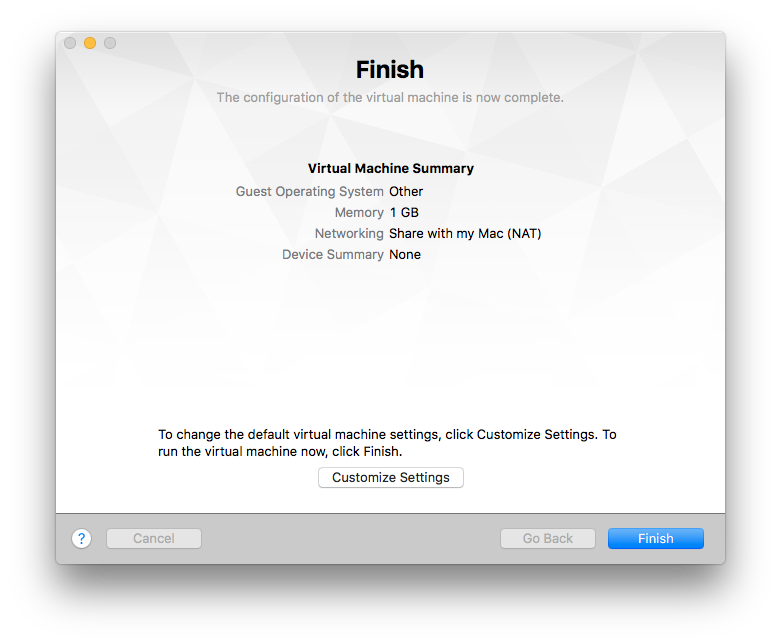 If you want to start your experience with Pegasus Workflow Management System I strongly advice to use ready to go Virtual Machine available for download. You can get it here. Press Continue. 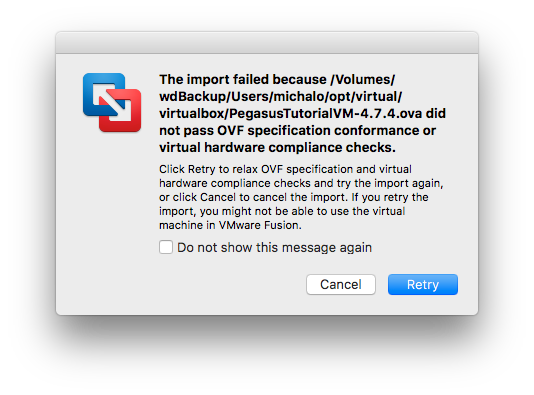 VMware Fusion will complain! Don’t worry, it will import machine properly, eventually. Simply press Retry. After a while, you will be notified that import was finished. 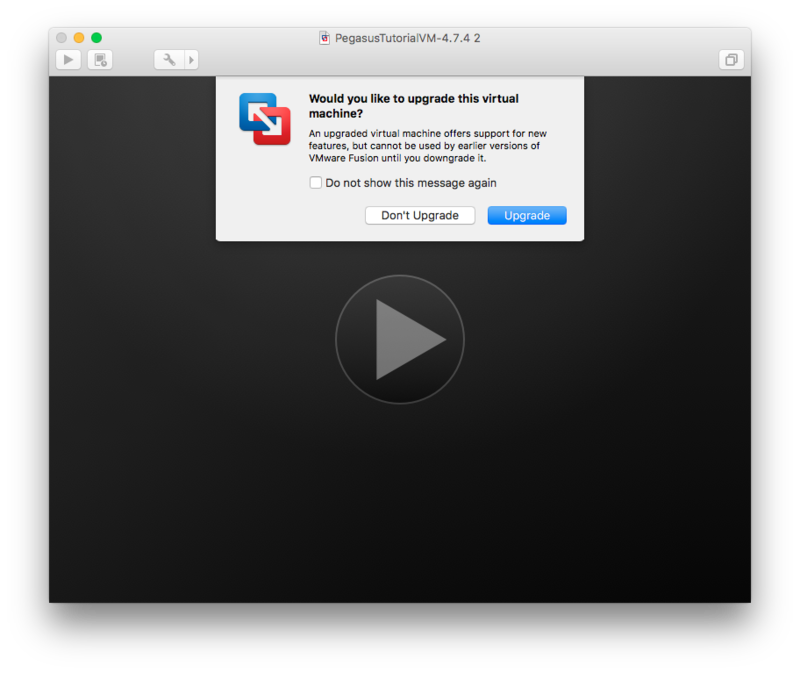 Fusion may complain about upgrading machine to reflect most recent changes in your release. Feel free to upgrade your machine. Press: Upgrade. After a while, you will be shown a clock on nice blue background. Just drag it and scroll up. Now, you are ready to log in into machine. 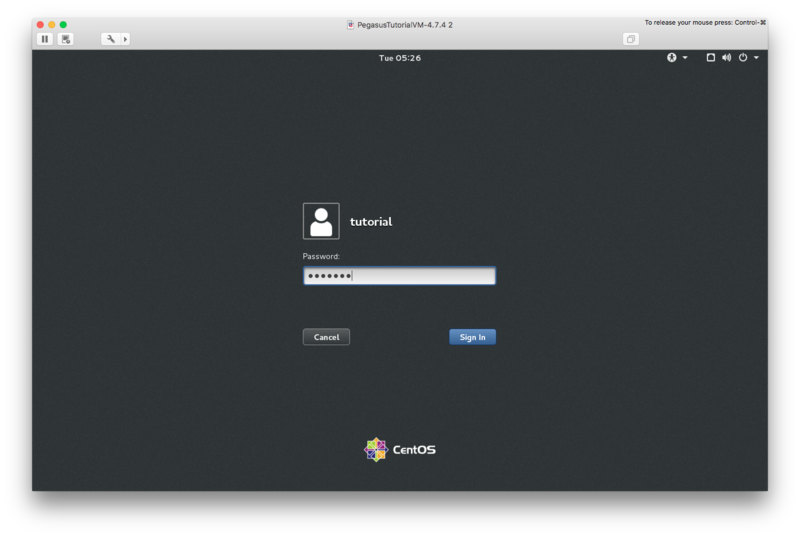 Chose user tutorial and type in pegasus as password. 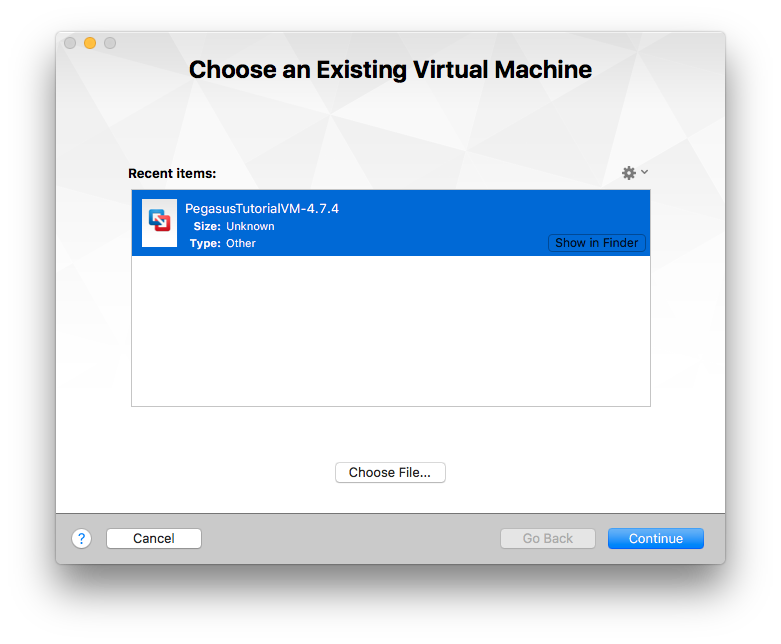 On the left side of screen you will find Terminal application. Double click it. Now, it is the time to start your first task. Go ahead and create your first task.